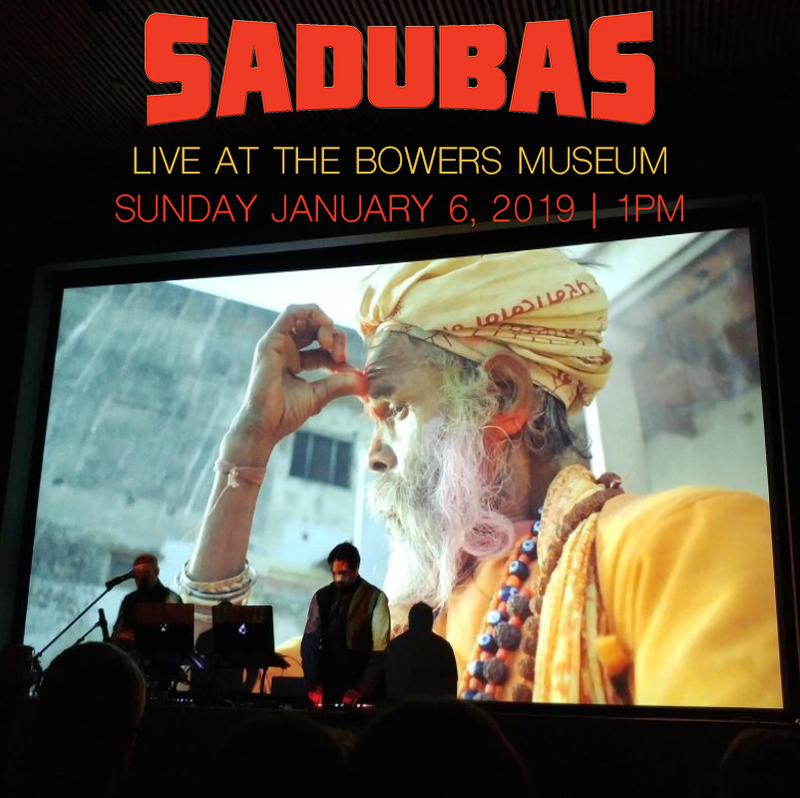 As part of Bower Museum’s Festival of India celebration, the museum is proud to present Sadubas, aka The Sadhus of Bass. The duo converges classical Indian rhythms with 70s Bollywood vibes to create psychedelic soundscapes that are one part trip hop and two parts cinematic south Asia. Electronic artists Robin Sukhadia (MFA '07) and Ameet Mehta bring a wide range of contemporary influences to their compositions, including media samples, Bollywood grooves, and classical Indian rhythm and raga. Ticket info: Admission to this performance is free and reservations are not required (does not include access to museum galleries). Sponsored by The Nicholas Endowment.